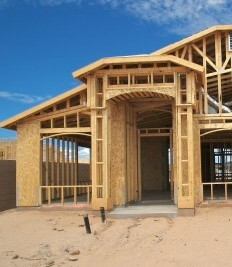 Home builders had less confidence in housing market conditions in September. In the aftermath of Hurricanes Harvey and Irma, builders worried that ongoing shortages of construction labor and materials would worsen. NAHB Chairman Granger MacDonald said that concerns over labor and building materials were “intensified,” but said that builder confidence was expected to return to high readings once rebuilding is underway. The National Association of Home Builders Housing Market Index dropped three points to an index reading of 64 with all three component readings lower than they were in August. Builder confidence in current market conditions for new single-family homes dipped for points to an index reading of 70. Builder confidence in housing market conditions over the next six months also dropped points to 74. September’s reading for buyer traffic in new housing developments was one point lower at 47. The NAHB Housing Market Index measures builder confidence on a scale of 0 to 100. Any reading over 50 indicates that more builders than fewer consider housing market conditions to be in positive territory. While September readings are well within positive territory, approaching winter weather and shortages may cause builder confidence in housing market conditions to decrease. Three-month rolling average readings for four regions tracked by NAHB had missed results in September. The Northeast posted a one-point gain to 49; the Midwest posted a loss of three points for a reading of 63 and the Southern region posted a one-point loss for a reading of 66. The West posted a two-point gain for a reading of 77. 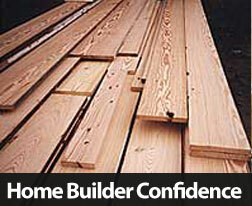 Future builder confidence readings depend on conditions as storm season continues and winter weather sets in. David Crowe, National Association of Home Builder’s (NAHB) chief economist, said that builders are watching slowing economic trends, but also cited low mortgage rates, improving labor markets and pent-up demand for homes as factors for strong U.S. housing markets. The NAHB notes that any reading over 50 indicates that more builders were confident than those who were not. The three readings used to calculate the NAHB Housing Market Index (HMI) were also lower. The reading for current sales conditions fell by three points to 65; the reading for sales conditions over the next six months fell by one point to 65. Home builders were less confident in buyer traffic in new home developments; the February reading dropped by five points to 39. Although the buyer traffic gauge was its lowest in nine months, it hasn’t topped the benchmark of 50 since the peak of the housing bubble ten years ago. Analysts responded to February’s HMI with mixed views. Some analysts said that buyer demand for homes would override concerns over building costs. This view makes sense in view of pent-up demand driving up home prices. At some point, affordability and buyers ability to qualify for mortgage loans are likely slow the rate of increasing home prices. Analysts note that a slower pace of increasing home prices may allow more buyers to enter the market, and may also encourage more buyers to list their properties for sale. This would increase inventories of available homes and relieve pent-up demand for homes. Although home price growth is cooling off, average home prices remain 20 percent below their pre-recession peak in 2006. The Federal Housing Finance Administration reported similar trends in December home price data for properties either financed or owned by Fannie Mae or Freddie Mac. Home prices rose by a seasonally adjusted rate of 0.80 percent in December as compared to November’s reading. Home prices were 7.70 percent higher for the fourth quarter of 2013 than for the same period in 2012. Adjusted for inflation, this reading indicates an approximate year-over-year increase of 7 percent. FHFA reported higher readings for 38 states in its fourth quarter 2013 Home Price Index, as compared with 48 states in in the third quarter of 2013. In order of home price appreciation, the top five states with highest growth in home prices were Nevada, California, Arizona, Oregon and Florida. These calculations were seasonally adjusted and based on home purchases only. 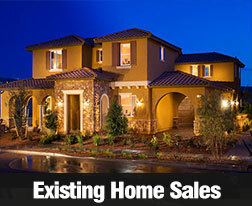 Sales of existing homes fell by 5.10 percent in January according to the National Association of REALTORS. Pre-owned home sales slowed to a seasonally-adjusted annual rate of 4.62 million homes against an expected reading of 4.65 million and December’s reading of 4.87 million existing homes sold. Rising home prices are reducing the number of affordable homes and a shrinking inventory of available homes were said to be underlying causes to January’s slump in existing home sales. Severe winter weather also contributed to lower sales. January’s reading was the lowest for existing home sales since July of 2012. The national inventory of available pre-owned homes was 1.90 million, which represents a 4.90 month supply at the current sales pace. Real estate pros look for a 6 to 6.50 month supply of existing homes to balance demand and availability between buyers and homes for sale. High demand against a low supply of available homes suggests that some home sales weren’t completed due to a bottleneck between willing buyers and a low supply of available homes. Rising home prices also limit affordability for first-time and moderate income home buyers. Slow job growth, new mortgage rules and high loan approval standards were also reported as causes for slower sales. Short supplies of existing homes in high demand locations are causing multiple offers on homes, and in some areas, cash offers are in play. 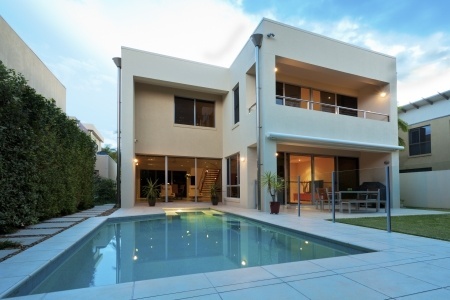 High competition for homes can eliminate home buyers with a limited range of purchasing power. 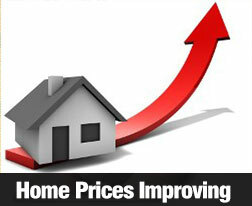 Home prices, while still increasing, are not growing at the rapid rates seen in 2013. The national median home price in January rose to $188,900, which represents a 10.70 percent increase year-over-year. Analysts said that existing home sales that weren’t completed due to the winter weather can be expected to recover as warmer weather arrives. Distressed sales of existing homes including foreclosed properties and short sales represented 15 percent of January sales of existing homes, down from 24 percent in January 2013, and higher than December’s reading of 14 percent. Sales of foreclosed homes averaged 16 percent below market value and short sales were completed at an average of 13 percent below market value. Discounted home prices impact home prices in areas that have larger numbers of distressed homes for sale. As warmer weather approaches, new home construction will pick up and more homeowners will be likely to put their homes on the market. According to the S&P/Case-Shiller 10 and 20-City Home Price Indices released Tuesday, the U.S. Housing Market is on a roll based on year-over-year increases in average home values, but month-to-month results were mixed. The 10 and 20-City Home Price Indices showed year-over-year growth of 13.80 and 13.70 percent respectively. Dallas, Texas posted its highest rate of annual growth since 2000. Chicago’s average home price rose by 11.00 percent, its highest annual gain since December 1988. The 10 and 20-City Indices posted their best November home prices since 2005. Top year-over-year gains in home prices included Las Vegas, Nevada at 27.30 percent, San Francisco, California at 23.20 percent, Los Angeles, California at 21.60 percent and San Diego, California at 18.70 percent. Atlanta, Georgia rounds out the top five cities with a year-over-year increase in home prices of 18.50 percent. The annual readings for the S&P/Case-Shiller 10 and 20-City Housing Market Indices in November suggests that U.S. markets are strong enough to sustain momentum in spite of rising mortgage rates. The month-to-month results show that both indices decreased by an incremental 0.10 percent in November, 2013. Keeping in mind the traditional slump in home sales during the winter and holiday season, lower month-to-month readings were neither unexpected nor disappointing. Eight of the nine top cities posting the highest month-to-month growth in home prices were located in the Sun Belt. San Diego, California and Minneapolis, Minnesota home prices remained nearly flat after decreasing in October. Nine of the 20 cities surveyed posted positive month-to-month growth in home prices. Of the nine cities, only Boston, Massachusetts and Cleveland, Ohio were not located in the Sun Belt. 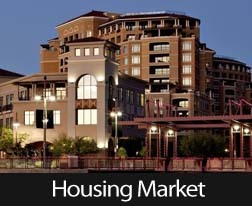 David Blitzer, Chairman of the Index Committee at S&P Dow Jones Indices, noted that November’s month-to-month readings for the 10 and 20-city home price indices indicated that Phoenix, Arizona, Los Angeles California and Las Vegas, Nevada had each posted 20 or more consecutive months of rising home prices. While positive in his remarks about increasing home prices, Mr. Blitzer also noted that indicators suggested a slower rate of growth during 2014. This aligns with previously released economic news citing uncertainty about mortgage rates that may continue to rise as the Federal Reserve continues tapering its monthly asset purchases under its quantitative easing program. The Fed’s FOMC meeting is scheduled to end Wednesday, January 29, at which time the committee’s customary statement will indicate whether or not the Fed’s monthly asset purchases will be reduced from their current level of $75 billion. On the positive side, Chairman Blitzer said that the low inflation rate (1.50 percent in 2013) and rising home prices are helping homeowners accumulate home equity at a faster pace. The NAR provided great year-end news as existing home sales in December pushed 2013 sales of existing homes to a 7 year high. December’s reading of 4.86 sales of pre-owned homes came in at 4.87 million on a seasonally adjusted annual basis. Although projections had been for 4.89 million sales, the December reading topped November’s revised sales of 4.82 million pre-owned homes. December’s reading showed the first gain in existing home sales in three months. 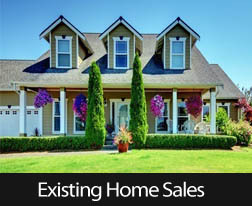 NAR reported that existing home sales for 2013 reached 5.09 million, which represented a 9.10 percent increase over 2012. NAR reported that the national median price for pre-owned homes increased to $198,000, a year-over-year increase of 9.90 percent. The average price of an existing home for all of 2013 was $197,100. This was the strongest growth in existing home prices since 2005 and represented an increase of 11.50 percent. There were 1.86 million pre-owned homes for sale in December. At current sales rates, this represents a 4.60 month inventory. Real estate pros like to see a minimum of a six-month supply of available homes, so existing homes remain in short supply. Analysts attributed rising home prices to improving economic conditions and a persistent shortage of homes for sale. FHFA, the agency that oversees Fannie Mae and Freddie Mac, reported that November prices of homes financed with mortgages owned or guaranteed by the two agencies rose by a seasonally adjusted 0.10 percent as compared to October’s increase of 0.50 percent and an expected growth rate of 0.40 percent. November’s reading brought year-over-year home sales to an increase of 7.60 percent, but is still 8.90 percent below their April 2007 peak. Analysts noted that recent reports of increasing new home construction and rising new home sales as reasons why prices of existing homes are seeing slower growth. The Case-Shiller 10 and 20-City Home Price Indices for October were released on December 31. Although home prices in most cities continued to show year-over-year gains, the pace of home price appreciation is expected to slow in 2014. Year-over-year increases have been in double digit territory since March 2013, but month-to-month readings suggest that the rate of increasing home prices is slowing. The 10 and 20 city indices are showing that home prices some cities that were showing little or no growth in 2013 are posting higher rates of appreciation, while growth in cities that have shown very high increases in home prices are beginning to lose momentum. The 10-and 20-city indices each posted year-over year gains of 13.60 percent between October 2012and October 2013. These were the highest year-over-year gains since February of 2006. Home prices recovered to mid-2004 levels in October, but remained 20 percent lower than peak home prices seen in June and July of 2006. Home prices in the 10 and 20-city indices have gained 23.10 percent and 23.70 percent since home prices reached their lowest points in March 2012. Month-to-month readings show a slowing trend in home price growth. 18 of 20 cities included in the S&P Case-Shiller Home Price Indices showed slower growth in October as compared to September’s readings. The Federal Reserve will begin tapering its asset purchases this month and will continue doing so unless economic conditions slow to a point where the Fed considers tapering counter-productive to economic growth. Concerns over the tapering of “quantitative easing” and higher mortgage rates are seen as contributing to slower gains in home prices. 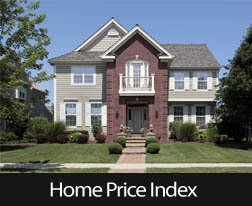 Although some analysts have identified indicators of economic growth, most seem to agree that home prices are likely to increase by single-digit percentages in 2014. The holiday season and winter weather slowed home sales in November. Last week, the NAR reported that sales of existing homes had slumped to their lowest level in nearly a year, but this was not unexpected. Short supplies of available homes and rising mortgage rates have increased pent-up demand for homes have kept some buyers on the sidelines. 4.90 existing homes were sold in November; this was lower than the 5.13 million existing homes sold in October, as well as lower than expectations of 5.00 million existing home sales in November. Existing home sales for November 2013 were also 1.20 percent lower than for November 2012; this is the first time in 29 months that existing home sales were lower year-over-year. Lawrence Yun, chief economist for NAR, described the slow-down in sales as a “clear loss of momentum.” The outlook for 2014 is better, as analysts expect continued improvement in the labor market. 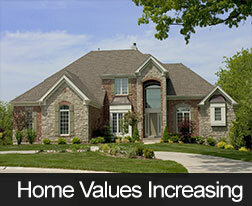 The pent-up demand for homes will ease as homeowners begin to list their homes for sale as home prices increase. Mr. Yun also noted that prices for existing homes are increasing at their highest rate in eight years. The national median home price of existing homes rose to $196,000 in November, which represents a year-over-year increase of 9.40 percent. There was a 5.1 month supply of previously homes available at the current sales rate. The Census Bureau and HUD report that 464,000 new homes were sold in November. This was 2.10 percent lower than October’s rate of 474,000 new homes sold. This represents an increase of 16.60 percent as compared to the 398,000 new homes sold in November 2012. The national median home price for new homes in November was $270,900; with an average new home price of $340,300. The seasonally-adjusted estimate of new homes for sale in November was 167,000; this reading represents a 4.30 month supply of new homes for sale. While home builder confidence is up and recent labor reports indicate improving job markets, the Fed’s decision to taper its quantitative easing program in January is generating some uncertainty as mortgage rates will likely rise as the Fed winds down the QE program.